Which is better: Museum of Curiosity or Living Planet Aquarium? Locals and tourists only—Metropolitan Utah welcomed two large museums this year: The re-located and significantly expanded Living Planet Aquarium and the all-new Museum of Natural Curiosity. Although both have their heart in the right place, only one is worth your family’s time and money. I’m tired of seeing art like this in museums. Last year at my local MOA, someone staged an entire room with nothing but lighting and black pebbles on the floor against an undecorated wall. My take: Mediocre art like this doesn’t deserve to be in museums. It’s a clunky, cliche, and thoughtless attempt to challenge the definition of art. We get it. Art can be anything. Pollack and Warhol said so decades ago. Many others before them did the same. 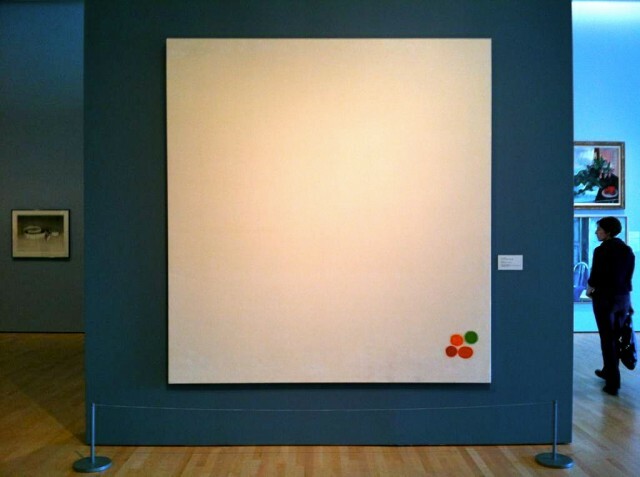 Now stop displaying gimmicky art, museum curators. You’re keeping wall space from more talented and original art. Snob rant, over and out.